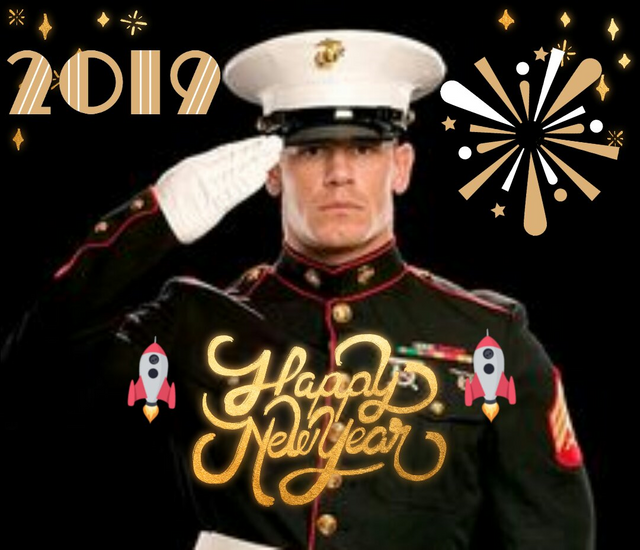 So Long 2018... HELLO 2019, All you Boot Campers! All this year I have been fattening fish and guiding them to better directions, the time has come to say goodbye to the year in steemit. Very good profits from Steem and SBD were distributed this year, we are grateful to have shared them with the members of the group. Next year we hope to be full of value, earning large amounts of coins to achieve what is believed impossible! To continue bringing fish to form a community, we are in service of this group and in debt with favors to the participants, bidding farewell once again, have a happy new year 2019. Remember that success is not in winning all the battles, it is sometimes not discouraging yourself every day. You should give your Ghost 👻 Writer a RAISE!